In the past month, I have read 2 books that I believe helped me to contemplate men’s struggles in relationships. One of these books was a classic novel and the other was a nonfiction book on the impact books have had on an author’s life. The novel Giovanni’s Room was written by the American author James Baldwin in 1956. It is set in Paris in the 1950’s and documents the story of a young American man’s homosexual relationship at a time when these relationships were still very much unacceptable in moral terms, even illegal in many countries. In France, however, the changes in law during the French Revolution essentially decriminalized homosexuality although there continued to be a moral prohibition until 1942. David, the narrator in Giovanni’s Room, is torn between his love for a woman and a man. The account he gives of his internal emotional upheaval is a rare glimpse into the elements that confine men to the gender and social roles that are acceptable. That men can also be thus confined is something I have always accepted in principle, but Giovanni’s Room and David help me to understand how these limitations often keep men emotionally oppressed. Am I Alone Here? 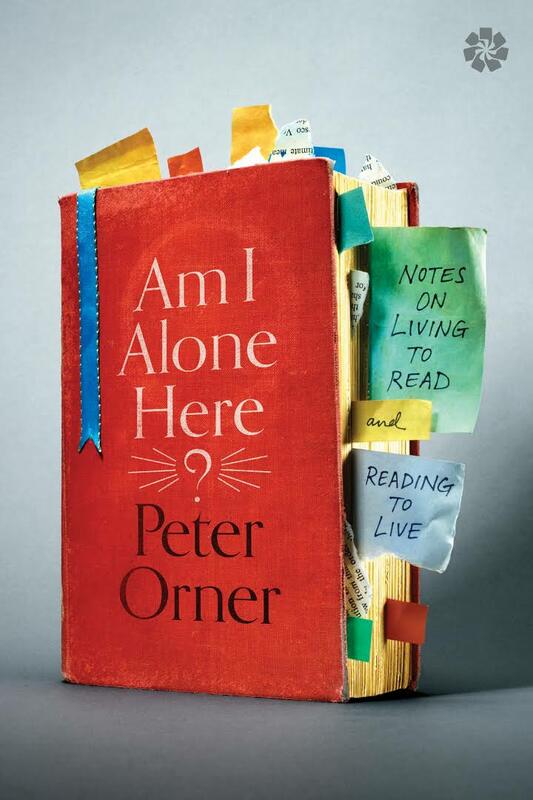 by Peter Orner was published in 2016 and documents how Orner’s reading has shaped his various relationships. Orner’s reading serves as a stimulus to his reflections on being a son, a partner and a father. The intimacy of a gifted reader is so evident in Orner’s writing and is, for me, one of the most important elements of this book. As I said, I read both books within the same month, one after the other. They made me feel melancholy about the way in which men can be boxed in emotionally, in a way that I have never felt as a woman. I reflected how difficult it must have been for these authors to expose publicly these intimate internal struggles, each in his own way doing what he could to break apart the box. I felt as though my own thinking about the emotional life of men was much affected by these books, but my thinking made me no less melancholy. I regret these boundaries between our emotional lives.